Mother’s Day 2011 is coming so that I think you must spare no efforts and means to dope out a way to thank mother on this uniquely special Mother’s Day. In my opinion, you will never think of a better way to show our appreciation than showing your true love to your dearest mom. I do believe that the most precious Mother’s Day gift is not the one that costs much but the one touch mother’s tender heart. It must be something made by yourself and with grateful feeling poured into it. Mother’s Day 2011 will be a memorable one when it includes a beautiful and individualized Mothers Day greeting card made by your own hand. So easily add your own photos and text to make a unique Mother’s Day Card that will definitely be cherished for years to come. 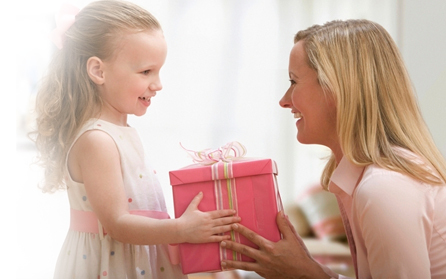 How to make a personalized Mothers Day greeting card? And what should be on the card? Let’s take a look at the following description. If you have already with some beautiful pictures shot with your mother in daily life at hand, it will be the best for you can make use of them directly. Under the other circumstance, you find out that some pictures on the videos shot by you are rather better than the existed ones, you want to take advantage of them but you are incapable of extracting these pictures out of videos. Then how to capture awesome pictures from video? I recommend you to use a video converter which can not only allows you to realize conversions among almost all video and audio formats, but also endows you with the function to screenshot beautiful pictures at will. Ok, the photo matter can be successfully settled down now. You only need to print it out and get ready to DIY Mother’s Day greeting card. Step 1: Fold the cardboard into two pieces and each with half of its size. Step 2: Use dyestuff and painting brush to color the cardboard as grounding. You can choose your mother’s favorite color and warm-toned colors are the favorable. Step 3: Attach the photo to the cardboard by using glue. Step 4: Draw some cute or beautiful patterns around the photo and color them. Step 5: On the other side of the card, you can write something there, for example, you can write a Mother’s Day poem, monologue, or something you want to say to your mother. By the way, if you want to make it looks more beautiful you can add some silk ribbon or paper flowers to it. She’s always been there to cheer you on, and now it’s your chance to send her something special in return with these stylish Mothers Day cards! Are you ready now? Buddies, try your best to make her feel loved and appreciated. Wish all mothers have a good Mother’s Day 2011.